It had been a while since I did a HIIT workout... and by "a while," I mean that the last time I did a HIIT workout and actually wrote about it was in the middle of May. Nearly two months ago. And it was cold. Now it's a gazillion degrees outside all the time. So HIIT workouts leave me looking a little bit scary. Yes, I was pointing out the incredible amount of sweat on my chest. No, I don't know why David still likes me. But I am getting ahead of myself. Yesterday's run (since I fell asleep drooling all over myself like a classy lady before I could blog about it) went all right. I ran in my neighborhood, and honestly, I don't know why I run in my neighborhood. It just seems like every few weeks or so, my brain goes, "You should just run the neighborhood. Those hills aren't that bad." Let's be clear - that's a lie. Those hills are that bad. And I'm at an elevation of almost 6,000 feet anyway, so anything more than that and my lungs assume that I've decided to kill myself and they give up. Buuuuut... the run went okay anyway. I'm still kind of wavering about what training plan to follow, or if I'm going to combine aspects of different plans. My original decision was to follow Hal Higdon's Novice plan, which is a 12 week plan with one long run a week that builds from 3 miles to 10 miles. But then I started reading Jeff Galloway's Half-Marathon: You Can Do It, in which he kind of suggests doing the bare minimum of running that is possible so as not to overtrain. I'm big on doing the bare minimum, and I'm really big on not getting injured. So I think I'm going to adopt one of his ideas - increase the mileage of the long runs every week, but don't necessarily increase the mileage of the shorter runs. In Hal Higdon's program, the short runs increase from 3 to 5 miles long, whereas all of Galloway's plans keep the short runs consistent - 30 minutes every time. For some reason, 30 minutes seems a lot less daunting to me than 3 miles, and obviously 5 miles makes me want to die, so I'm going with 30 minutes. Hence why yesterday's run didn't so much hit the 3 mile mark. Yesterday's run also wasn't so stellar in the pace department, which is why the HIIT workouts will be making a triumphant return. 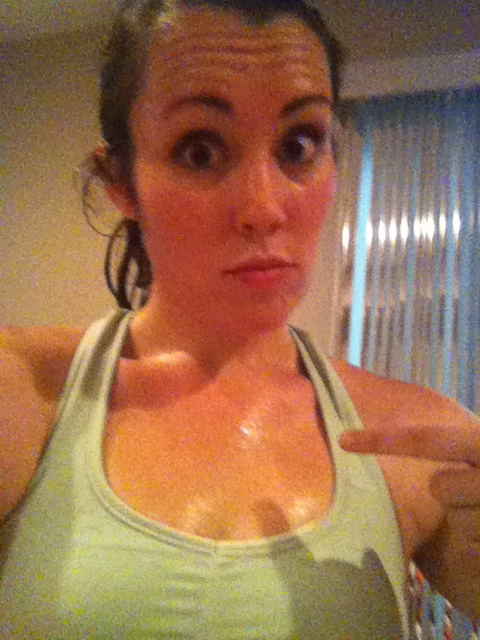 HIIT workouts are eeeeeeevil... very sweaty, very intense, very exhausting. 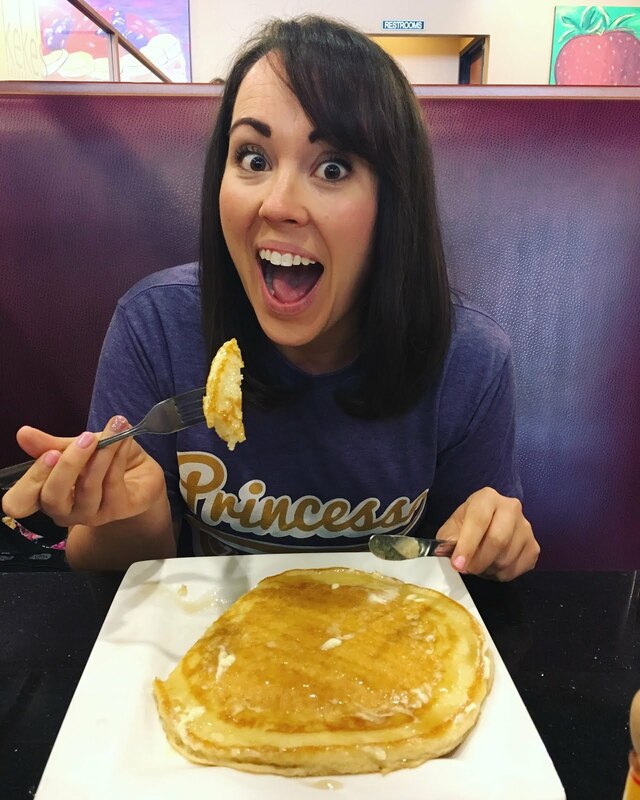 You may be able to tell from the witty title of this blog (it's past my bedtime, it's the best I could do) that HIIT workouts leave me pretty winded. But they're quick, they torch calories, and most importantly for me right now, they make regular cardio a lot easier. And I need running to be easier. Or else we'll be back to this. And no one wants to witness that again. My average pace for yesterday's run was almost a 14:00 mile... even with the excuse of walk breaks, that's just not going to cut it. Especially because two days earlier, I maintained an average page of a 12:00 mile, including regular walk breaks. My running pace was more like a 10:00 to 11:00 mile. So, I'm going to destroy myself with HIITs for a couple weeks and see what happens. And since I'm already getting wishy-washy about my training plan, I'm looking into something that would incorporate a little bit of speedwork too... like this program from Runner's World. I know I'm not going to become a speed demon overnight, or possibly ever, but I would like to at least get faster than a 14:00 mile. That's going to make any "slow runs" I'm supposed to do really hilarious. Should I slow to a 20:00 pace? I'll have to start getting up at three in the morning just so I can finish my run before McDonald's stops serving breakfast! Before you judge me, I had a smoothie for breakfast. 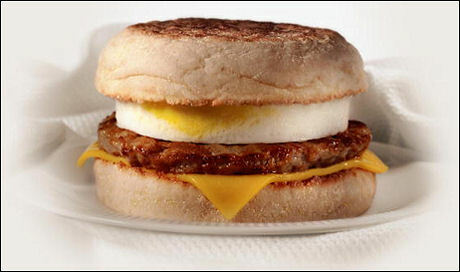 Okay... so it was just a blended Sausage McMuffin. STFU. Another short run is on the schedule for tomorrow. Maybe I'll even blog about it on the same day it happens instead of falling asleep on my keyboard.